Homeowners gas up their riding lawn equipment every year with hopes of having the best looking yard in the neighborhood. 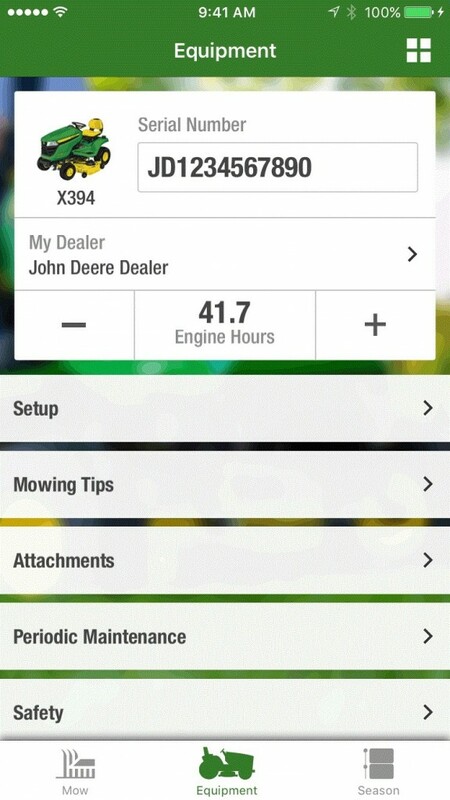 Now, thanks to the new John Deere MowerPlus app, equipment owners have a tool they can access from their mobile devices to make this desire a reality. In this post, we will walk you through how to get started with MowerPlus and showcase some of the features you will find within the app. 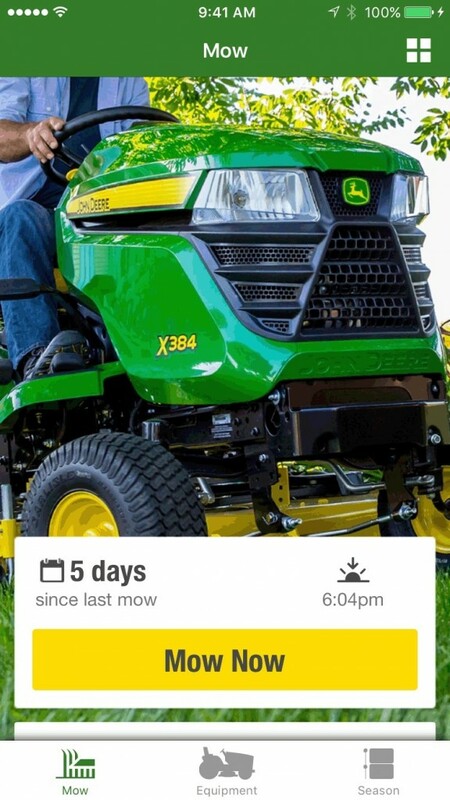 Step 1: When first launching the MowerPlus app, you will be prompted to “tell a little bit about your equipment.” This involves selecting your mower series (D100, S240, X300, X500, EZtrak Z200, ZTrak Z300, EZtrak Z400, ZTrak Z500, EZtrak Z600, or non-John Deere). In this example, we’ve selected the D100. Step 2: The app will then ask you to provide your mower model. 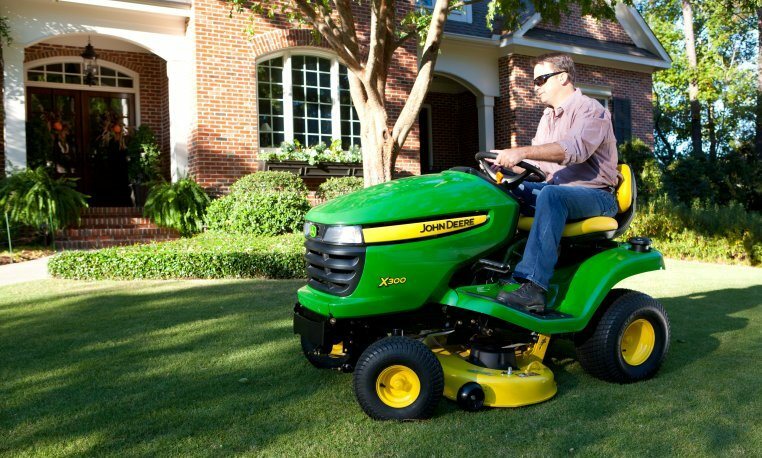 Since we selected a D100 in this example, we will choose from the D105, D110, D125, D130, D140, D155, D160 and D170 mower list. Let’s say we own a D110 and select it in the app. Step 3: In this step, we are asked to indicate if we have a material collection system (MCS) on the mower. Since these systems provide an efficient way of collecting grass clippings and leaves while leaving behind a clean yard, we will attach one to our D110. After you’ve completed the above steps, you will be brought to the app’s “Mow” view. Here, you have the option to “Mow Now” or view your season history. The number of mows this season, average time, total time, average distance, total distance, estimated total coverage and average speed are all clearly displayed on this screen. When accessing the equipment view, you will see your machine at the top of the screen. Here, you can add its serial number, your local John Deere dealer’s contact info and machine hours. Below that, there are a number of different places you can visit. The “Setup” tab lets you access information that will help you prepare your mowing equipment for success. With our D110, we can get information about the mower deck, MCS installation/removal tips and mulching kit info. Below the setup tab is a “Mowing Tips” section. Here, the app developers added a step-by-step guide to achieving the perfect lawn. As you complete each step in the process, the app will save your progress. A list of attachments for the equipment, periodic maintenance and safety info are also sections within the equipment view. The third option in the footer of the app is the “Season” view. Here, you can view your mows by month and access a live John Deere feed of pertinent regional information to your equipment and season. The feed populates with tips, products for sale, and much more. If at any point you need to update your settings, reset your progress, view privacy/legal information, or contact customer support, simply click on the group of four cubes in the header of the app. Note: The above steps and processes pertain to version 1.1 of MowerPlus. Visit this page for more info.